Aaron Brooks and the Pacers have emerged victorious in all three games at home but still haven't cracked the win column away from Bankers Life Fieldhouse. 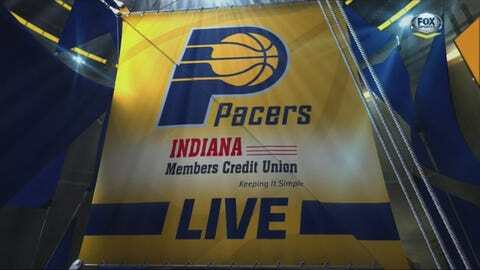 INDIANAPOLIS — The Indiana Pacers will look to keep their home dominance going on Wednesday night as they host the Philadelphia 76ers. Indiana (3-4) has emerged victorious in all three games at home but still hasn’t cracked the win column away from Bankers Life Fieldhouse. After an encouraging home victory over Chicago last weekend, the Pacers once again didn’t bring their defense with them to Charlotte in a 122-100 loss. "We’re all out of whack," Paul George told the Indianapolis Star. "There’s no trust. There’s no chemistry. There’s no belief. We’re kind of just lifeless right now." Coach Nate McMillan said he had no explanation for the Pacers’ road woes in the early going. "We were a different team night and day from our last game against Chicago," McMillan said. "We are not seeing us play solid ball consistently." Playing the 76ers (0-6) the next two games (Wednesday and Friday) could give the Pacers an opportunity to find that consistency. Philadelphia looks much improved this year, and it has played several good teams close this season. The 76ers only lost to Cleveland by one, and to Oklahoma City by six. Sometimes the most dangerous teams are the ones desperate for a win. After battling injuries and missing the last two years, Joel Embiid looks like a rising star in the NBA. He’s averaging 17.6 points, 6.8 rebounds, and 2.6 blocks per game, and that’s even with a minutes restriction. Embiid is putting up those numbers in just 21.4 minutes per game. "As sort of a cut-off minute restriction, I believe it’s going to stay at 24 minutes until Christmas," coach Brett Brown told ESPN.com. Embiid was held to 14 points by Utah on Monday night. Despite the great start, Brown knows it’s a learning process for his young star. "There’s a level of realization that we have to go through," Brown said. "I think there are a lot of times where it’s clear he’s a young man that hasn’t played basketball for 2 1/2 years." The Pacers will counter with a rising star big man of their own. Myles Turner is averaging 16.4 points, 6.9 rebounds, and 2.6 blocks per game in his second season. The 76ers are still without No.1 overall pick Ben Simmons, Nerlens Noel and Jerryd Bayless due to injuries. 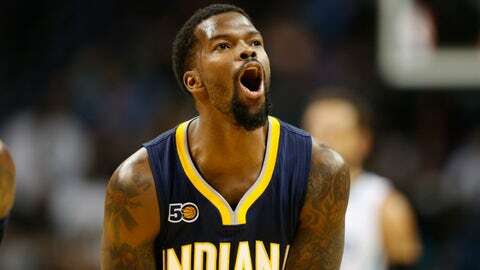 For the Pacers, Rodney Stuckey remains out with a hamstring injury. Both of these teams have struggled on the defensive end this season. Indiana has given up the third most points per 100 possessions (109.3 ppg) and Philadelphia has given up the eighth most (105.7 ppg). The Pacers won all three games by double-digits over the 76ers last season. In the last three seasons, they’ve won nine of the 10 matchups against Philadelphia. Look for a fast-paced game, as both teams rank in the top half of the NBA in pace of play. Indiana is ninth in that category (102.32) and Philadelphia is 14th (100.28).